However “discomforted” the Society may have felt about that Covenant, it had no jurisdiction to punish a TWU law graduate in its attempt to punish the University. As the Court put it, “Trinity Western’s law graduate is not Trinity Western’s alter ego.” Well said. 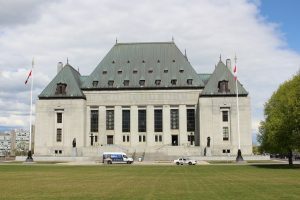 The Court’s decision is a helpful reminder of just how out of step the Society became with its campaign of political correctness by overreaching its jurisdiction in an attempt to control the admissions policy of a law school in another province, British Columbia. Common sense is an apt description for this decision. The Court was not amused that the Barrister’s Society unilaterally declared jurisdiction to govern admissions policies that have nothing to do with the general competence to practice law. If only the Ontario Court of Appeal had followed a similar course. 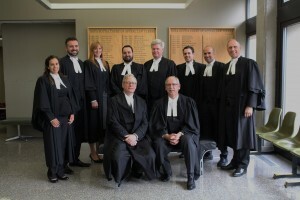 It truly is remarkable that TWU has been forced onto this arduous road of legal attrition over an issue already settled by the Supreme Court of Canada. The University has had to fight for its right to practice its religious belief a second time. The process is the punishment it seems. 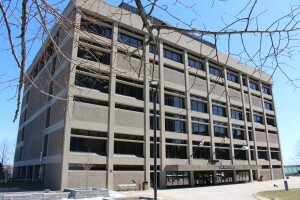 In 2001 the Supreme Court of Canada ruled in its favour to have an education degree despite its admissions requirements. Today, in 2016, because it desires to have a School of Law, the politically correct academics and activists have created such an uproar that TWU has had to fight for its constitutionally protected right not on one front but on three separate fronts in three provinces. It is simply ridiculous. 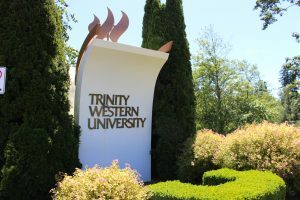 What TWU wishes to do is to continue with its role as a religious university that issues degrees with which its graduates may enter the work force — something it has done since the 1960s. It has not violated one iota of Canadian law in doing so. But because its religious views on marriage are no longer in vogue it was forced to face this colossal legal barrage. It is time in this country for the harassment of Christian institutions to come to an end. The law societies show how untrue their claim is that ours is a country for everyone when they disregard the constitutional protection of religious institutions. Thankfully, we still have courts, like the Nova Scotia Court of Appeal, that can see through the legal sophistry and allow common sense to prevail. We now await the soon to be released decision of the British Columbia Court of Appeal. Then off we will go, no doubt, to the Supreme Court of Canada where we will finally see whether its 2001 TWU decision that respected religious freedom is still good law. Hopefully, common sense will prevail there too. Thankfully, this decision balances the rights and freedoms of everyone in Canada equally, as should be done in a free democratic society.